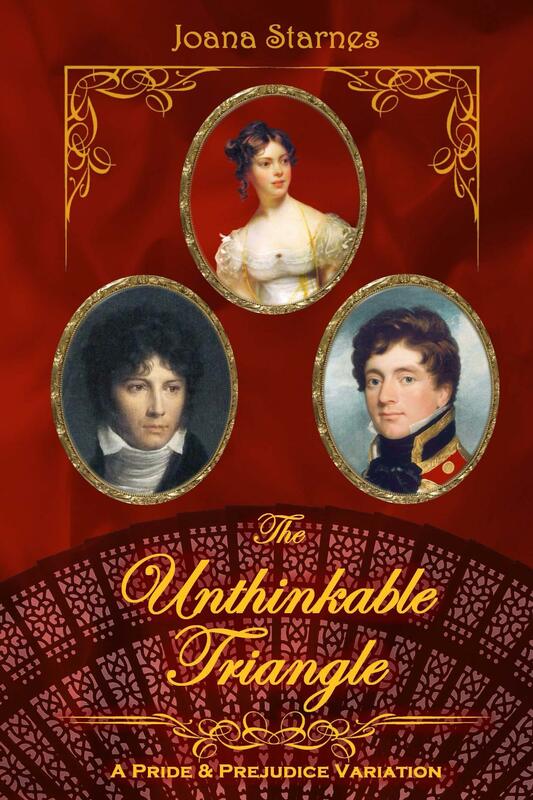 I am very honoured to welcome Joana Starnes to From Pemberley to Milton for a guest post on her recently released The Unthinkable Triangle. I had read 3 of her previous books and reviewed The Subsequent Proposal which I loved, so it is with great joy that I now participate in her blog tour with this guest post and a review to be published on the 26th. Mrs. Starnes was kind enough to propose a giveaway of The Unthinkable Triangle, so don’t miss the opportunity to win her wonderful book by placing any question or comment on her guest post and/or the review. Thank you, Rita, for the wonderfully warm welcome to your lovely site! I was very taken from the very start with the name you have chosen for your blog, because North and South is one of my favourite adaptations, right up there with Pride and Prejudice 1995. Mrs Gaskell’s novel is perhaps a tad too Victorian for me sometimes, in ways that Jane Austen’s ones could never be, but what I like best about North and South is that we are left in no doubt about what Mr Thornton is thinking. 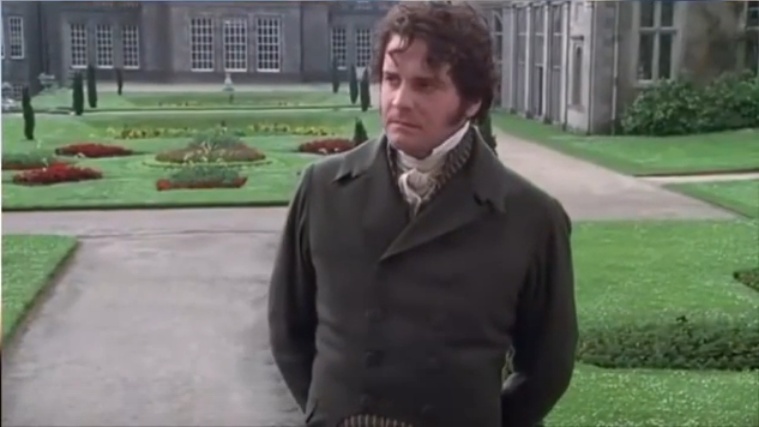 We are told nowhere near as much about Mr Darcy’s thoughts and feelings, which perhaps is one of the reasons why we are so very keen to find them explored in Pride and Prejudice variations. 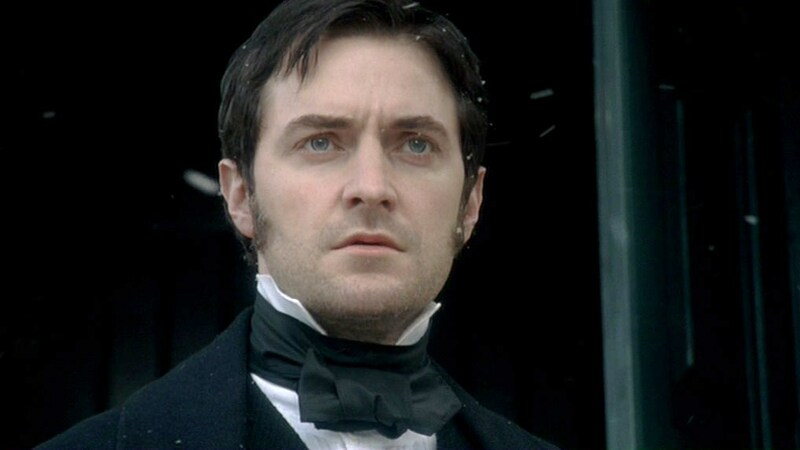 But Mrs Gaskell tells us plainly that Mr Thornton’s heart ‘beat thick with longing love’ when Margaret Hale comes to take her leave from him and his family and let them know that she would henceforth live hundreds of miles away, in London, with her aunt. There are many reasons why I think the adaptation is even better than the novel, and the main one must be the unspeakably romantic ‘Look back! Look back at me!’ – the film-makers’ masterstroke, in my opinion. I can easily picture Mr Darcy whispering the same, should Elizabeth be taken away from him, towards a life with his dearest cousin. Because this is the premise I have chosen for my latest book, The Unthinkable Triangle: on the day before the one when the infamous Hunsford proposal would have taken place, Colonel Fitzwilliam offers marriage to Miss Elizabeth Bennet – and is accepted. Unthinkable indeed, for Darcy to have his best friend as a rival. Too cruel, some might say. Too cruel to both. But it was incredibly tempting to pursue a path that would bring Elizabeth and Darcy constantly together. Not to argue this time, but to become closer and closer, as she grows to know and understand him. The fact that this is sheer torture to Darcy is, I believe, richly deserved to some extent. He should have proposed while he had the chance. He had met Elizabeth six months earlier than his cousin, and he should have seen her true worth sooner, rather than think of no one but himself. And now he is forced to contemplate a future where Elizabeth would be firmly in his life, but never his. Worse still, no one can guess his feelings. Not his cousin – heavens, no! Not Elizabeth, that would be equally unthinkable. Not anyone else either. But some things go too deep for concealment. And before too long of course the truth would out. 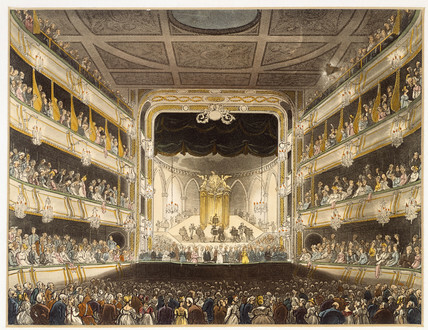 The following excerpt shows a night at the opera, when the secret is revealed to a family member who has no love for either Darcy or Colonel Fitzwilliam. The man in question is the colonel’s eldest brother, who had for years envied their closeness and can barely wait to taunt them with what he had just learned. “Darcy! How glad I am to see you,” he found himself greeted with unusual warmth. He did not let his surprise show and merely nodded. Out of character as it might have been for his eldest cousin to enthuse over a musical performance, Darcy saw fit to civilly agree. “Oh, nay, nay, you mistake my meaning,” the other laughed. “I was not speaking of the opera, although it is pleasant enough, I grant you, for a production of a human composer sung by featherless bipeds, to quote the late Diogenes,” he drawled. Darcy forbore to observe that it was actually Plato who had defined man as a creature with two feet and no feathers. Morton’s tenuous grip on the classics was none of his own affair, and he was about to bow and take his leave, when his cousin fixed him with a diverted stare. Darcy’s hands clenched behind his back. “You are mistaken,” he enunciated darkly. The savage urge to maim and kill – kill with bare hands – erupted in him with the devastating force of a volcano. Under the thin veneer of civilisation, the primeval instinct of the wounded beast battered to break through – and it was terrifying, because the last vestiges of sanity screamed that this time he could not react. Not here. Not in the sight and hearing of so many people, who would delight in vicious gossip that would drag her through the mud. And since he would rather die than let that happen, he must find the strength to walk away. Yet his feet would not obey him. He remained frozen to the spot and could not even stop himself from shaking. The only victory was that his hands were still clenched behind his back rather than strangling the living daylights out of Morton. Oblivious to the risks, or perhaps perfectly aware of Darcy’s reasons for inaction, the other gloated. With that parting shot and a scant bow, Morton walked past him towards his mother’s box, leaving Darcy to return in a dark trance to his own. I hope you have enjoyed the excerpt, even if Darcy certainly did not. If you would like to see what happens next, and indeed what bare-knuckle fight the dastardly roué was talking about, please leave a comment to be entered in the giveaway of a Kindle copy of The Unthinkable Triangle, available internationally. In order to increase your chances, do be sure to also comment on Rita’s review, that will soon be published on her blog. Thanks for stopping by to read and comment and many thanks again, Rita, for having me as your guest, it was wonderful to be here!